There were not enough staff available on arrival. The entrance is not clear from the road, we had to go through the restaurant and when we got to reception, no one was there and someone came over after finishing taking the Christmas decorations down, one day too early. The small bar was unmanned in the evening so we went to the Dirty Duck. Greta hotel. Right in the middle of town. Easy walking to all points of interest. The room was nice and the F&B was excellent if not on the higher price side. Slight downside was the lack of staff sometimes. But overall a great thumbs up! Exceptional staff, lovely accommodations, and fresh delicious dining make The Arden the hotel of discerning travelers! We absolutely loved our stay and are already planning our next stay. Absolutely wonderful. The Arden is by far a very special combination of quality, comfort, and charm. Location is the best... Across from RSC, close to shopping and dining options, although The Arden features some of the best dining in Stratford Upon Avon! We will be back! We had a lovely stay at The Arden. Check in/Check out was smooth. The location was perfect - close to theatre, shopping & dining. This was the first time we had stayed at the hotel since it had been refitted and we were very pleasantly surprised at the high standard of the room and the excellent service from all the staff. 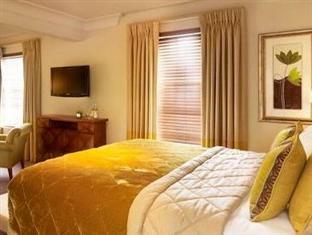 The room was well appointed with comfortable bed and very clean. We had breakfast in the hotel and this was again very good with excellent service from the waiting staff. We will certainly stay here again (we use it for visits to the Royal Shakespeare Theatre which is directly opposite the hotel)and think it very good value for money. Great location & overall lovely hotel. Well ive got to say was a lovely hotel. Couldnt fault the standard of the room & was very clean. Great bathroom, loads of room. Lovely bar, overall a very pleasant stay. There are a few price issues in my opinion. Although our room was lovely, for £205 a night i felt it was overpriced for the size of room. I always judge, on weather i would go back again, at £205 a night i wouldnt, id have to be offered an offer of something in the region of £150 a night. I also think bar prices are two high, this reflected in the amounnt of people using bar., wghich is a shame because you cant beat a good atmosphere. Sumarising id say a lovely hotel but a touch expensive all round. Everything seemed fine - apart from the actual booking! 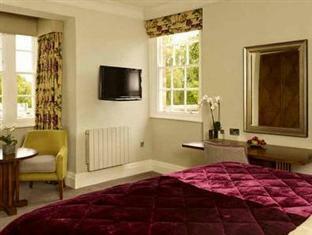 we really enjoyed our stay at the arden hotel. everything about the hotel was to our satisfaction, apart from our arrival on the sunday evening. we were shocked to discover that the hotel had no knowledge of our booking (which had been confirmed to us by agoda). fortunately there was a room available and reception were very swift to make us feel welcome. it appears that agoda had an incorrect e-mail address for the hotel and therefore the notice from them to the hotel did not get through. a couple of telephone calls between reception and agoda sorted out the problem. can we suggest that in future the agoda does not confirm a booking to the customer if they do not have a positive acknowledgement from the hotel that the booking has been accepted.